Register or Log In to see prices and purchase products! A luxurious spa-quality, oil-free sugar scrub for the entire body, with seductive Pomegranate. Gently exfoliates and moisturises at the same time, without leaving oily residue, which can clog skin and create breakouts. This premium formula rinses off completely, leaves no sticky or gritty residue and never clogs drains or spa jets. Excellent to help dislodge ingrown hairs after waxing or shaving. 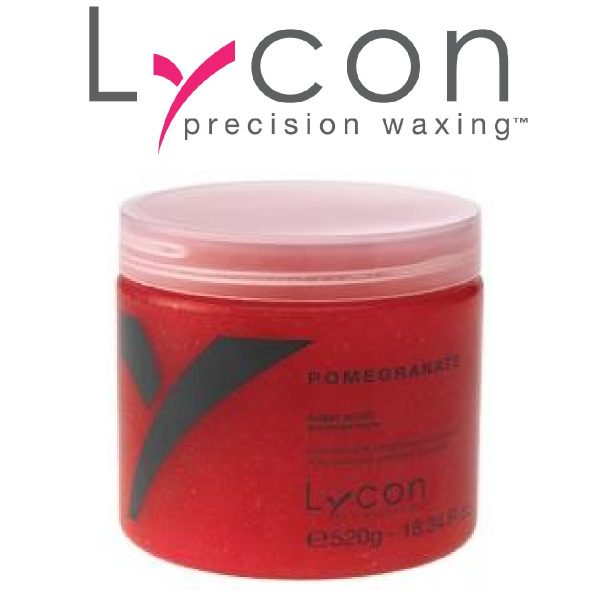 Moisturise after exfoliating with LYCON Pomegranate Hand & Body Lotion. These multifunctional water-soluble scrubs effectively buff away dead cells, boost circulation and moisturise all at the same time. 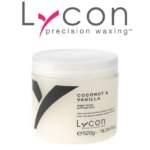 LYCON Sugar Scrubs are a must for all body, pedicure, manicure and specialised salon treatments. Perfect for regular home use. Be the first to review “Lycon Pomegranate Scrub” Click here to cancel reply. Sign up for Salon Depot News! Keep up to date with amazing things happening at Salon Depot as well as getting some amazing deals and specials. © 2019 Salon Depot. All Rights Reserved.